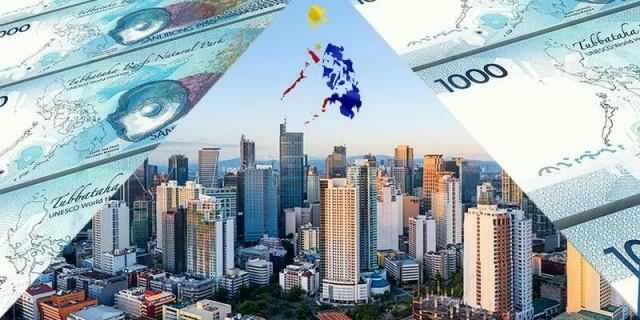 Metro Manila (CNN Philippines, March 28) — More businesses and consumers have taken a more positive view on the economy for the first quarter of 2019, the Bangko Sentral ng Pilipinas (BSP) said Thursday. According to the BSP's Business Confidence Survey, businesses finally turned bullish after four consecutive quarters of pessimism on expectations of more business activities and bigger spending for midterm polls and the dry season. The BSP said business confidence in the economy improved to 35.2 percent from 27.2 percent in the fourth quarter of 2018. Aside from increased business activities ushered in by the campaign period, the BSP also cited easing inflation, higher government spending on infrastructure, the introduction of new and enhanced business strategies and processes, and expansion of businesses and new product lines as reasons for stronger business confidence. More consumers also expressed a more positive view on the economy, but many more still held pessimistic opinions, with consumer confidence jumping to -0.5 percent from -22.5 percent in the fourth quarter of 2018. The BSP said this is the all-time largest quarter-on-quarter increase in consumer confidence. Consumers' improved outlook on the economy were attributed to higher income, improvement in peace and order, the availability of more jobs and good governance. The BSP also said businesses have a more bullish outlook for the second quarter, as they expect greater demand driven by the influx of local and foreign tourists during the summer, enrollment and harvest periods, election-related spending, sustained increase in orders and projects, and more construction activities during the dry season. Firms in the construction sector are the most optimistic for the first and second quarter of 2019 due to continued private and public construction projects at the start of the year, which are expected to continue into the second quarter. Meanwhile, the trade sector expects more of the same for the first quarter of the year as they see demand tapering after the Christmas season, stiffer competition and higher fuel costs due to the implementation of the second fuel tax hike imposed by the government's tax reform program. Companies in the trade sector expect better days in the second quarter due to more robust demand during the summer and election periods. More companies also intend to hire in the next quarter compared to the previous quarter, with the employment outlook index jumping to 29.7 percent from 21.8 percent. But firms with plans to expand in the industry sector declined to 33.2 percent from 36 percent. Consumers are also looking forward to the next quarter, where consumer confidence jumped to 10.7 percent from -0.8 percent in the previous quarter due to higher income, and availability of more jobs. They also expect a better year ahead, with 28.4 percent taking a positive view on the economy for the remaining months of 2019, compared to 10.7 percent last year as they anticipate stable prices of goods and salary hikes. The BSP said that consumers also expect to spend less in the next quarter, with the spending outlook index declining to 39.6 percent from 42.3 percent in the previous quarter's results. Despite this, consumers expect inflation and interest rates to increase and the peso to weaken in the remaining months of 2019, contrary to what businesses expect.